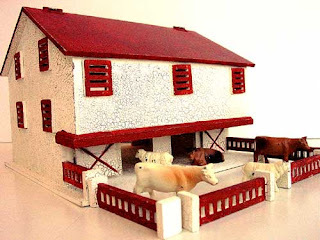 Isn't this toy barn cute? Pretty enough to keep out in the family room, sturdy enough for real play. It has a hinged roof and it even comes with the animals! Only $45 at inspire company.